Affordable & Luxurious Beachfront Experience in Costa Rica. 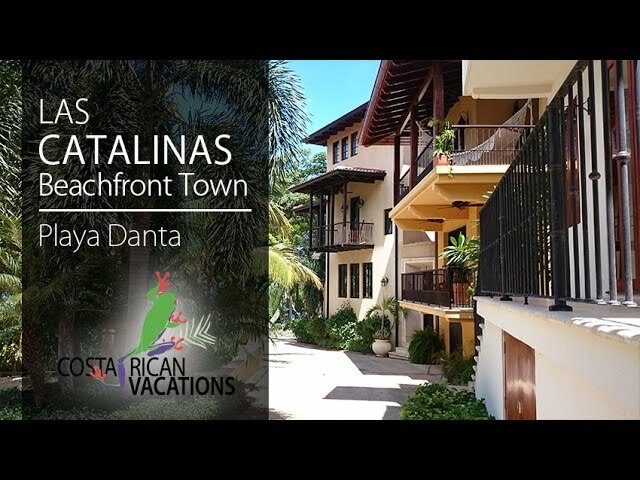 Located in the province of Guanacaste, Las Catalinas Flats is a beach-accessible community of townhouses fewer than 100 meters from Danta Beach. These intimate flats provide you with both an affordable and luxurious experience. These one, two, and three bedroom apartments are ideal for couples, families, and groups of friends. All apartments have modern, elegant furnishings inspired by rustic local design. Bedrooms have en suite bathrooms and are equipped with A/C, ceiling fans, smart TV, stereo system, and toiletries in the bathroom. Some units have spectacular ocean views from the private balcony in the master bedroom. All rooms have a view of the town and are only a two-minute walk from the beach. The fully furnished kitchen has modern appliances with everything you need for eating at home (refrigerator, oven, microwave, coffeemaker, blender, dishwasher, cutlery, etc.). WiFi is included throughout the home. Las Catalinas has a range of other amenities available at additional cost. For extended stays, the “House Mom” daily housekeeping service is available and will even prepare your breakfast if desired. A gourmet chef is also available to prepare your in-house meals for lunch, dinner, and snacks. The onsite restaurant ‘Greenhouse’ is open for all meals and cocktails and is known for its lighter fare menu, such as fresh fruit and salads, but it also serves international cuisine. The Beach Club building has three pools, daily activities, and a gym. Other on-site offerings include 24-hour security, spa treatments, and concierge service. Beach toys are available for rent, also.